This creamy breakfast go-to food is a great staple of your diet. Let’s face it: yogurt health benefits are plenty! It’s packed with nutrients like calcium, protein, B vitamins and magnesium. Just a single 8-ounce cup of plain, nonfat yogurt contains nearly half the recommended amount of daily calcium intake. Not to be overlooked are yogurt’s powerful probiotic benefits. Yogurt is made from milk that’s been fermented with lactic bacteria called Lactobacillus bulgaricus and Streptococcus thermophilus. These healthy bacteria, otherwise known as probiotics, help preserve the yogurt and give it that tangy flavor. The health benefits of probiotics are far-reaching — they’ve been credited with improving gut health and brain function, strengthening the immune system, and even contributing to weight loss. But this does not mean you should load up on yogurt-flavored cereals or yogurts that are packed with sugar, the amount of which can turn your healthy snack into an overly sweet, high-calorie dessert. If you still want to add a bit of sweetness to your yogurt, just add some fresh berries or other fruit. Plain greek yogurt is often a good option — it typically has nearly double the protein than regular yogurt due to its straining process, which removes more of the liquid along with the sugar. 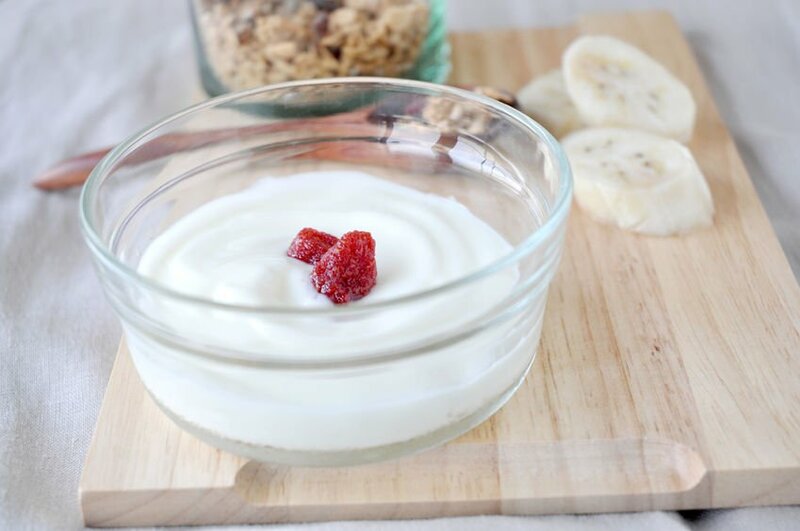 If you’re not a fan of Greek yogurt’s thick texture or tangy taste, then consider nonfat or lowfat plain yogurt, also packed with probiotics and nutrition benefits. Another popular yogurt option is frozen yogurt, but beware it may not be all it’s cracked up to be. Frozen yogurt can be full of unhealthy sugars. Also, not all frozen yogurts actually contain live and active cultures, meaning they lack probiotics. Frozen yogurt uses heat-treat yogurt, which kills active cultures. So next time you go out for some froyo, look for the NYA Live & Active Cultures seal. Although yogurts made with whole milk are usually higher in saturated fat, that does not mean you should avoid them at all cost. New research suggests that dairy fat may not have a negative impact on your health. In fact, one study linked dairy fat to a lower diabetes risk. So go ahead and enjoy a delicious, nutritious serving of yogurt for your health. Just make sure it’s not loaded with sugar.